is based on a property of nature. the least largest unit of motion. in joule-seconds, or in Plancks. and c, the velocity of light. The Planck constant led directly to the discovery that nothing in the physical universe is strictly continuous; instead, everything is quantized. 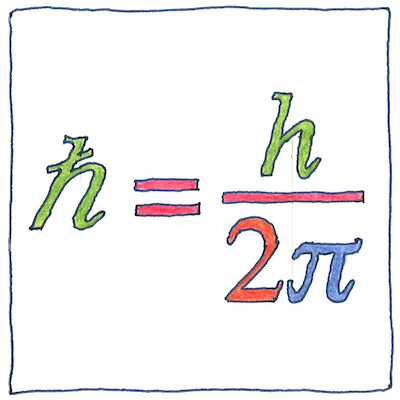 The Planck constant reduced by dividing by 2π (&hbar; or h-bar) is the quantum of angular momentum (the smallest possible piece of orbital or rotating energy) and helps determine the sizes of the Bohr magneton and other neat little units of our universe.